Suitable for urine samples. For research use only. 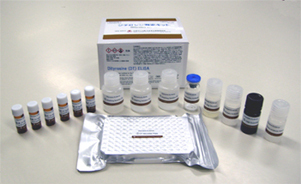 Recently, dityrosine is reported to exist also in urine samples. It is expected that DT may be a novel protein oxdation marker, which is non-invasively detectable. 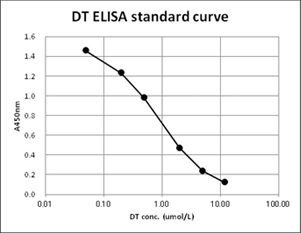 DT ELISA kit is designed for quantitative measurement of DT especially in urine samples. Storage: 2 - 8 °C. Don't freeze. Catalytic ferrous iron in amniotic fluid as a predictive marker of human maternal-fetal disorders.